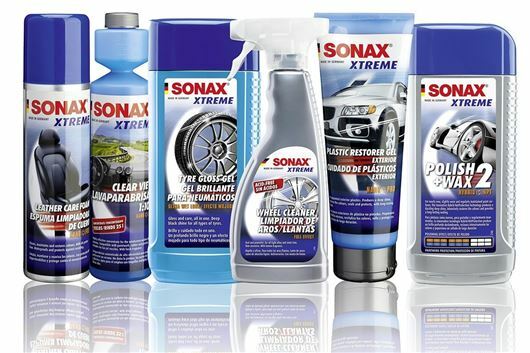 German car care brand Sonax has introduced a range of ‘Xtreme’ car care products in the UK, priced from £5.99 to £24.99. The range includes concentrated shampoo, high gloss wax, polish and wax hybrid, detailer and wheel cleaner. The Wheel Cleaner is a handy product for lazy car cleaners – dissolving most grime and brake dust sufficiently for it to be wiped off, rather than scrubbed hard. Also handy for those with less time on their hands is the Polish and Wax Hybrid, which polishes up dulled paintwork and leaves behind a protective layer to keep paintwork shiny. Sonax products can be purchased from Amazon, from Euro Car Parts and from independent motor stores.